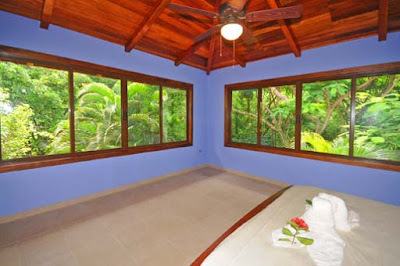 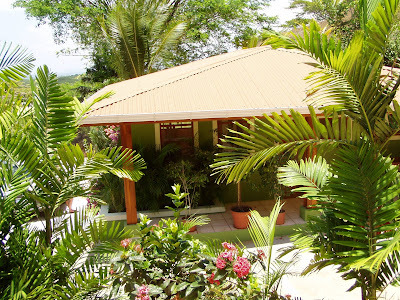 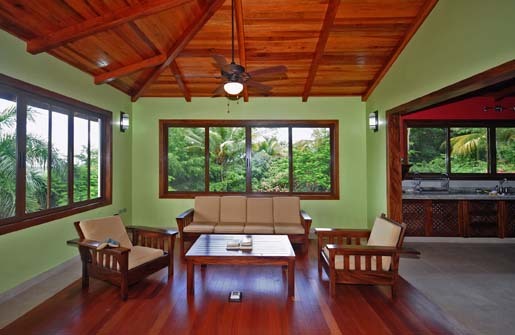 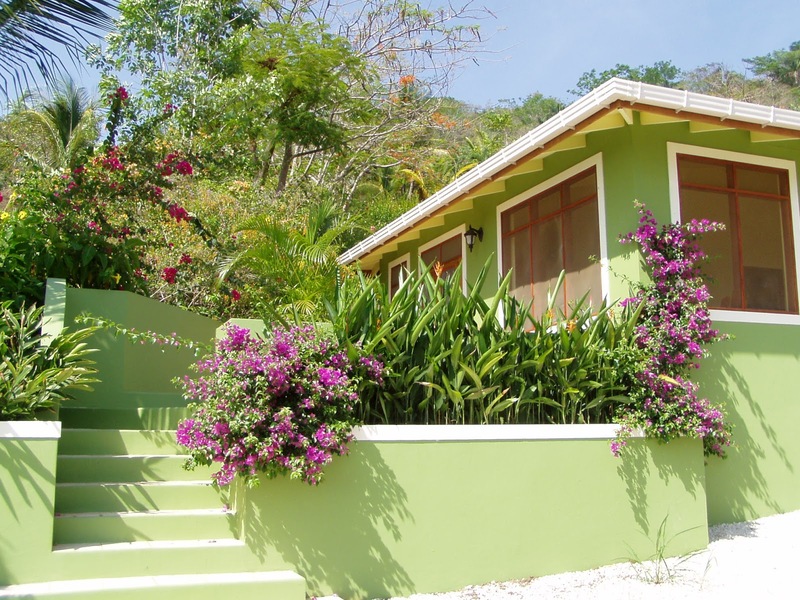 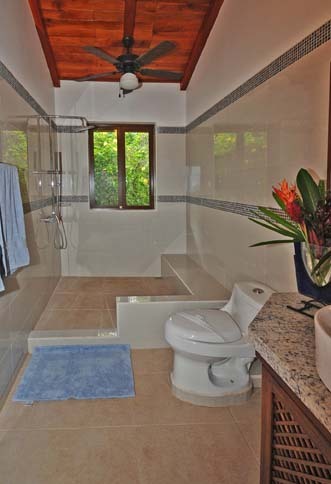 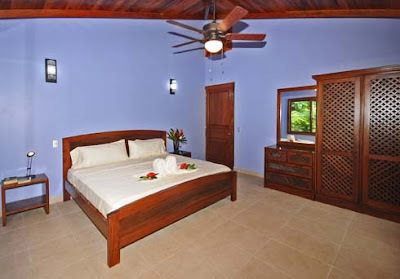 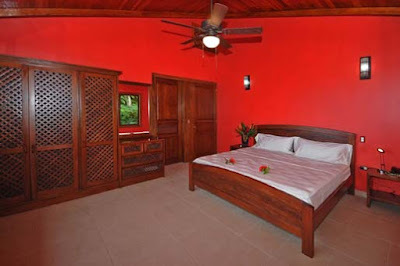 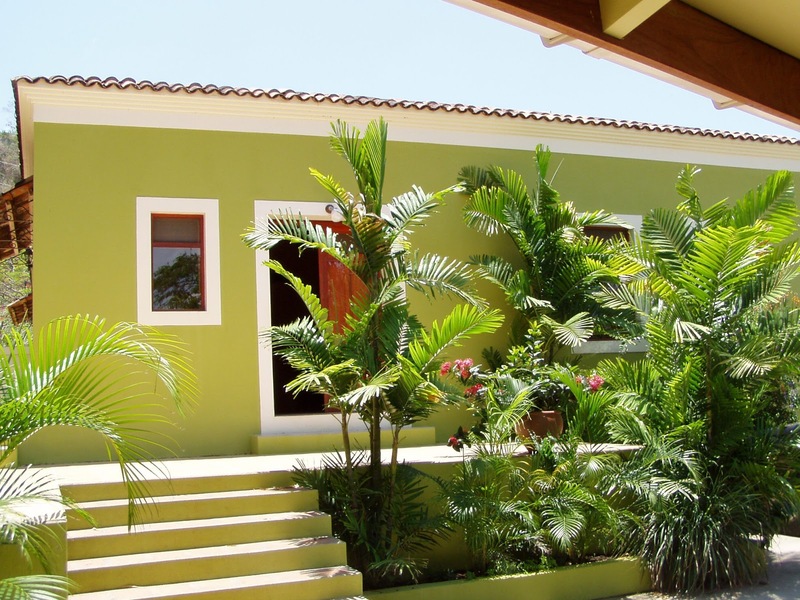 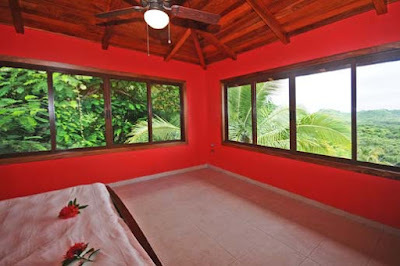 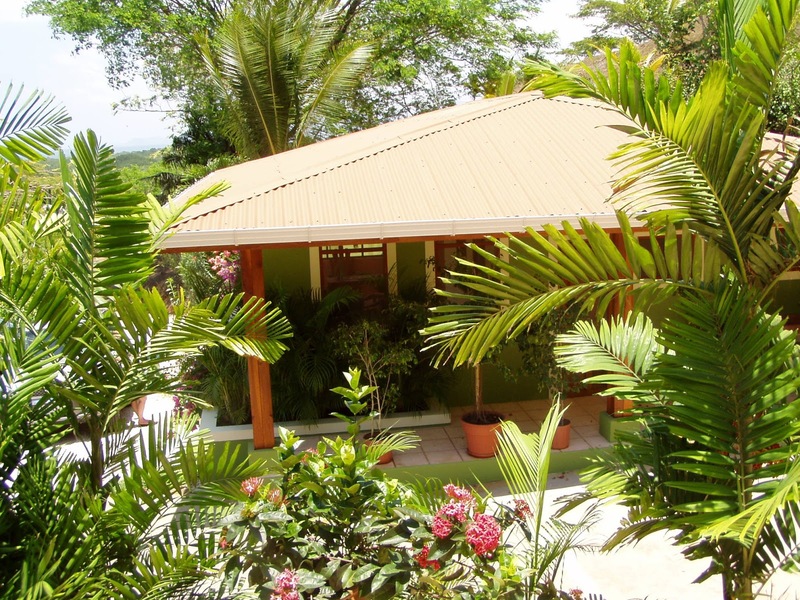 Casa Verde is a unique turn-key home with additional guest house, pool and rancho. The setting is perfect for a home base with plenty of room for guests or a vacation house with high rental income. Casa Verde is located in the Coyote Hills, just a short distance from the coastal road and a 10 minute drive from San Francisco de Coyote. 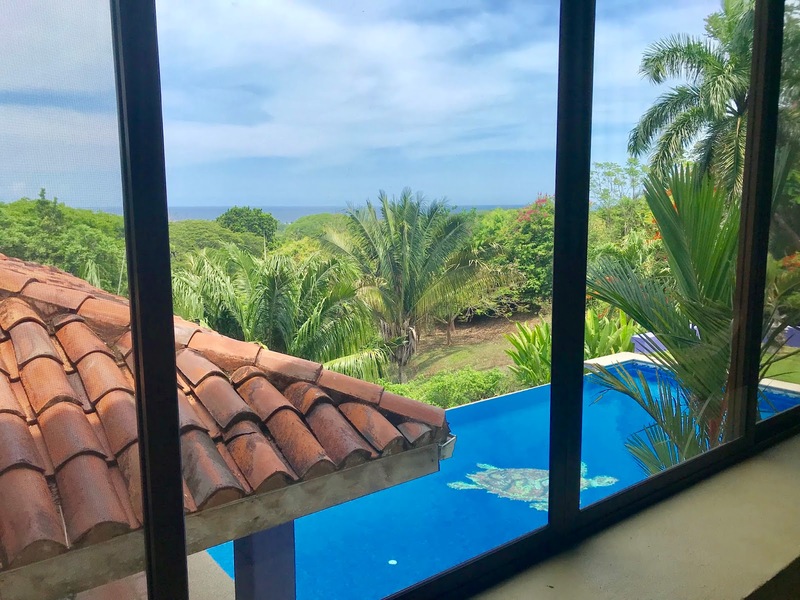 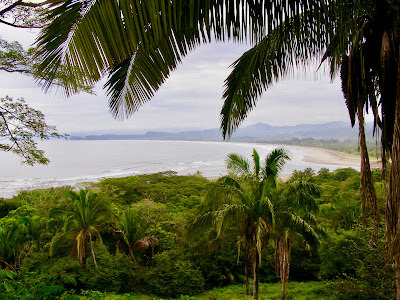 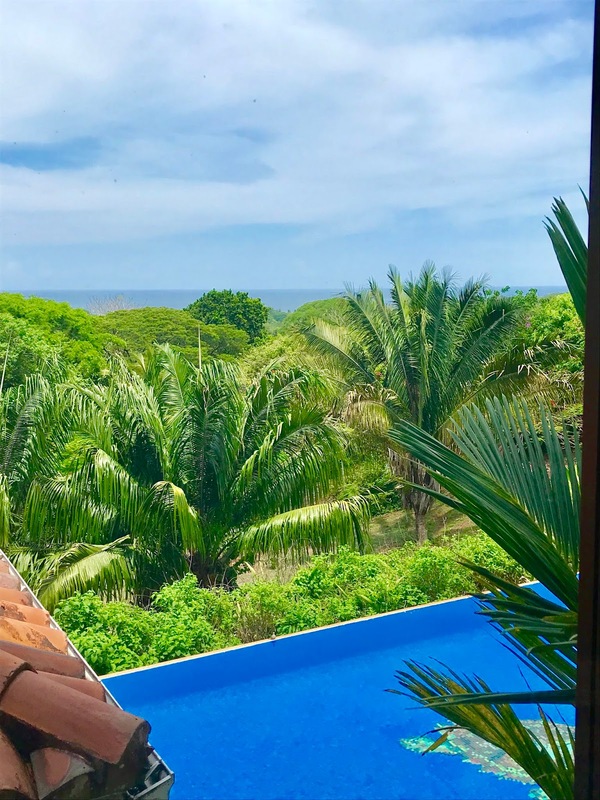 This sloping hillside property has panoramic views of the jungle coast behind Playa Coyote, reaching to the points of the Peninsula to the north. 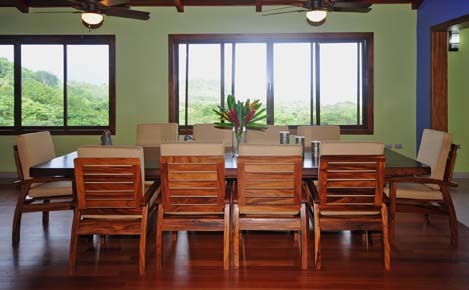 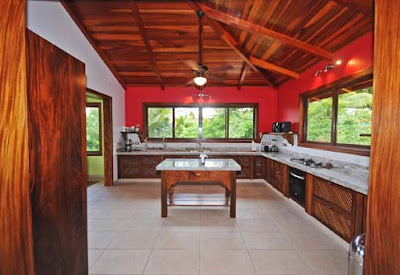 The main house is two floors each with 3 bedrooms, 2 baths, a kitchen and a separate access. 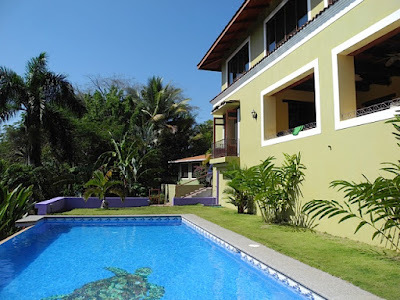 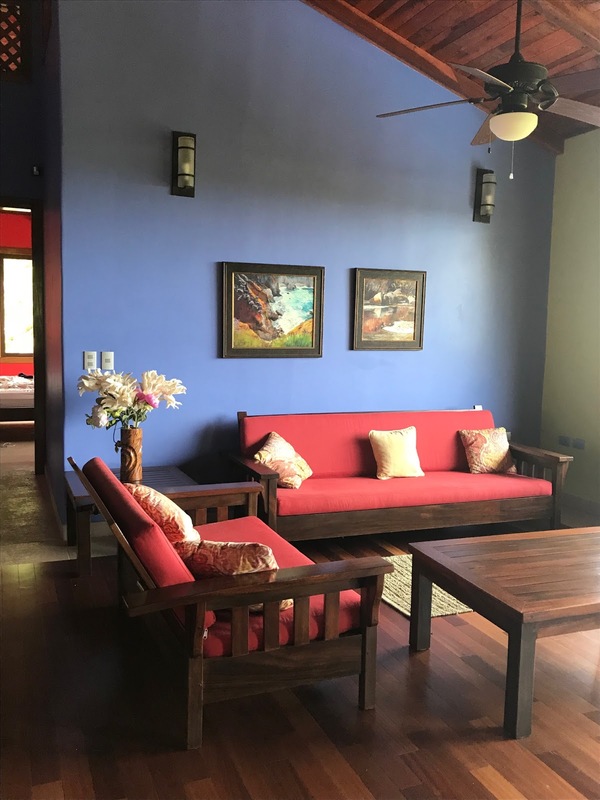 In front of the 440 square meter main house are the pool and rancho, then the property slopes down through beautiful grounds to the 60 square meter guest house.